601 Barber Avenue North | SIREG Management Inc. Living the country life just 30 minutes from Kitchener! 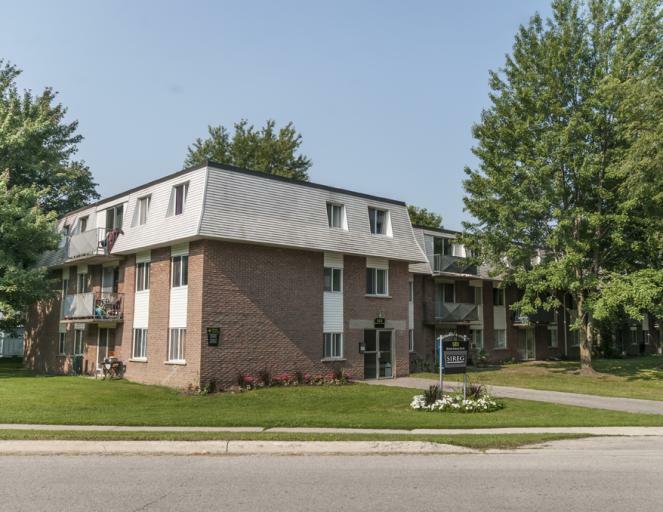 This quality condominium rental complex is located in the thriving & growing town of Listowel. Affordable, clean & undergoing extensive ongoing renovations & updates, this property is ideal for mature or retired individuals, as well as professionals who commute to Kitchener/Waterloo, Guelph, Stratford or the London area. Backing directly onto nature trails & green space, you are within a short walk to local schools & churches. All major shopping, banking & retailers are located directly in Listowel including WalMart, Canadian Tire, Zehr's, Shopper's Drug Mart & several Tim Horton's! There is also a beautiful downtown core along with a local hospital. This development boasts spacious bachelor, 1, 2, and 3 bedroom suite designs with onsite laundry facilities on each floor. With continuing upgrades & renovations, this charming location will continue to be an attractive and affordable place to call home. Our friendly staff is onsite 24/7. Located on the scenic Perth Country Trails system, you can enjoy everything nature has to offer, small town charm & friendliness and still be close to the city! Inquire today! Water & heat are included; hydro (electricity) is extra. Rents displayed are starting prices based on floor level & renovation status of unit. Prices range from $895.00 to $1295.00 or more.